Caitlin Macy's remarkable first novel is an evocation of a time and a place in which those things that were always so dependable--money, class, family--are threatened on all sides. 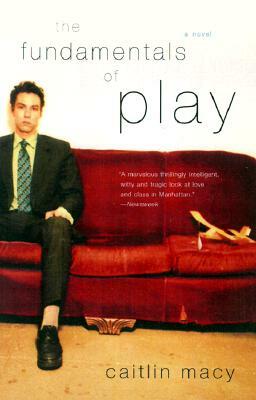 Narrated by George Lenhart, scion of a family who lost their fortune but not their good name, The Fundamentals of Play follows five friends from prep school as they enter adult life in New York City in the aimless, early nineties, before the internet explosion. They work entry-level jobs at investment banks, spend weekends in the Hamptons. At their center is the fickle, elusive Kate Goodenow. Everyone is in love with Kate and only George understands her heart was captured long ago, and for good. Hailed as a Great Gatsby for the end of the twentieth century--The Fundamentals of Play introduces a brilliant new Lost Generation longing to live careless lives, while the situations around them are increasingly fraught with importance--and the world threatens to leave them behind. Caitlin Macy graduated from Yale and received her MFA in creative writing from Columbia. She has been published in The New York Times Magazine and Slate. She lives in New York City.